UK car makers reported their 11th consecutive month of growth in June, according to figures released today by SMMT. Production grew 10.4% to 158,641 units – the highest level for the month since 1998, when volumes reached 172,232. The performance closes the industry’s best first half for 16 years,1 with 897,157 cars rolling off production lines so far in 2016 – up 13% on the same period last year as billions of pounds of earlier investment in new models came to fruition. Exports drove volumes, with year-to-date demand up 14.9% to 695,139 units, while production for the domestic market also grew 7.1%. UK Automotive is export-led, with 77.8% of cars built in the UK destined for more than 100 overseas markets, but the majority of which are headed for the rest of the EU. The sector is part of a complex, highly-integrated European and global supply chain, and depends on significant cross border trade in components. While local content of UK-built cars is growing, 59% of vehicle components are imported, predominantly from the continent. Respondents, including businesses of all sizes, from component suppliers to vehicle manufacturers and importers, are most concerned about the potential negative impact of tariffs, custom charges or other barriers between the UK and the EU single market (68.4%). They also expressed concern about losing access to EU trade deals (66.4%), being bound by regulations in their prime export market over which they have no say (66.1%) and loss of access to the EU-wide skills market (63.6%). 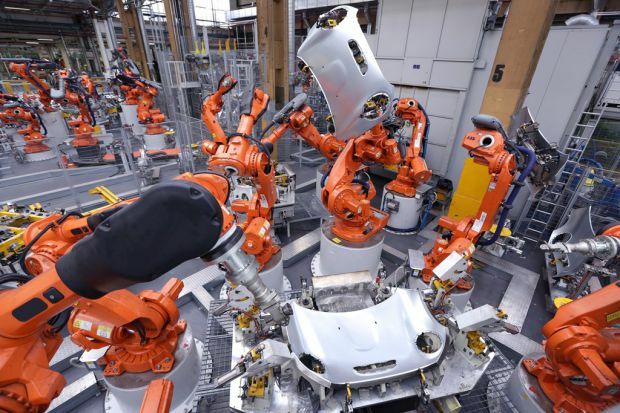 The UK automotive manufacturing sector has grown dramatically over the past few years and now employs 169,000 people, including many skilled EU nationals recruited to fill vacancies which the local labour force could not meet. The lack of certainty regarding the future status of these workers in the UK was cited frequently as a concern (59.7%) along with the potential for a drop in sales (52.7%) and investment (46.1%), with larger companies showing the most concern about the latter.